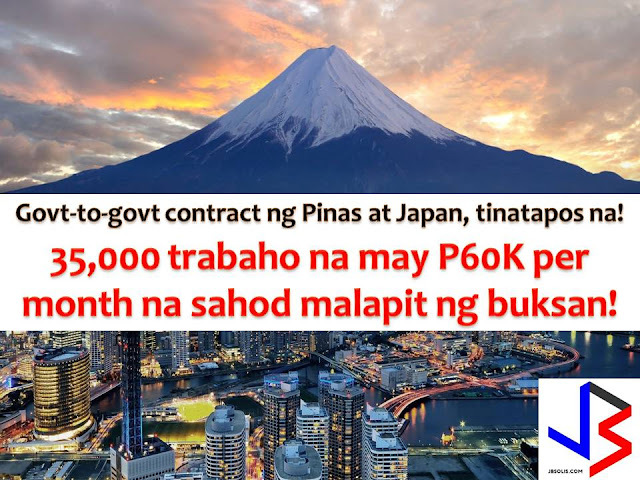 Nursing and caregiving jobs in Japan will be available for Filipinos very soon as a result of an agreement the Philippines has entered into Japanese government. GMA news reported that there are up to 35,000 vacancies for nurses and caregivers where Filipinos can apply. The application process for the said job opportunity will be a government-to-government process and will start once a Technical Internship Program has been established. A P60,000 per month salary is waiting for nurses that will be accepted to this jobs. "They have an aging population and they prefer Filipino nurses or caregivers to deliver that care giving service," Labor Undersecretary Dominador Say said. In Israel, their government is looking for 200 caregivers once a Memorandum of Understanding (MOU) is crafted between the Philippines and the Israeli governments. 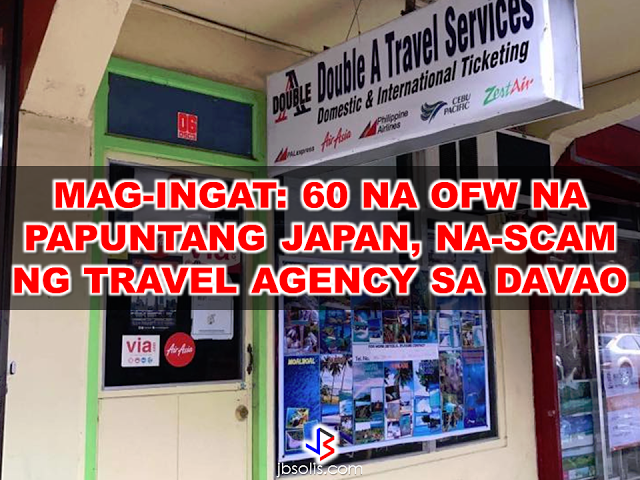 "Maganda yung option rin kasi kung ito ay government-to-government hiring, mas mapapaigting pa yung pagiging protected ng ating OFW," Philippine Overseas Employment Agency deputy administrator Jocelyn Sanchez said. 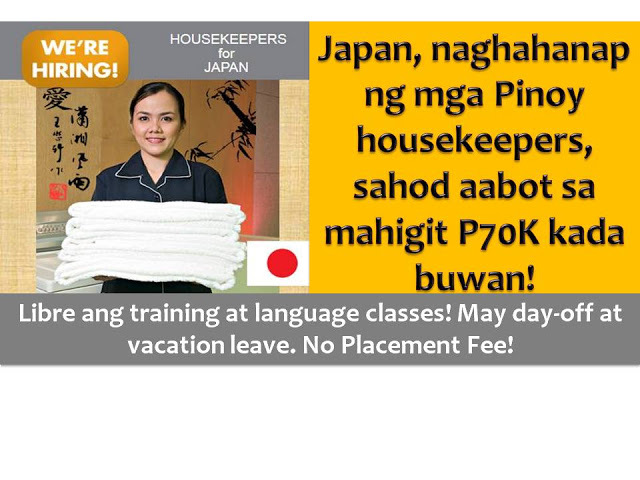 Here is another good news for those who wants to work as a housekeeper in abroad. 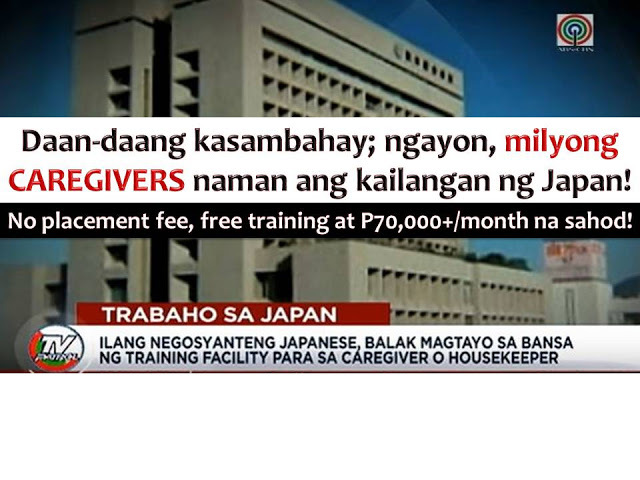 Japan is currently looking for Filipino Housekeepers. But it is not just an ordinary housekeepers, instead, a professional one with a monthly salary of more than P70,000.